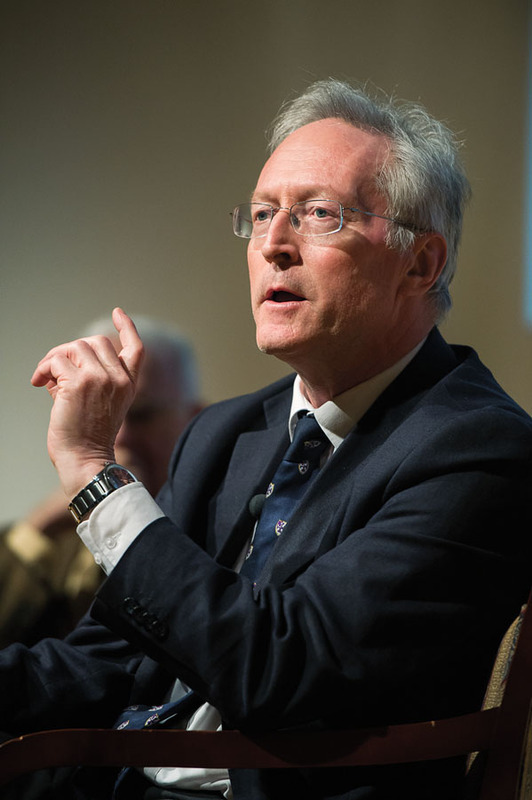 Diarmaid MacCulloch, author of the recently-published Silence: A Christian History, was in Australia a few months ago as a guest of The Adelaide Writers’ Week. While visiting that ‘distant and barbarous’ outpost of the Empire where the colonists ‘grow indifferent [and] go on from bad to worse until they have shaken off all moral restraint’ (as Mansfield Silverthorpe once described those blessed enough to be given free passage to Terra Australis Incognita), he was snatched up by the ABC for an interview with Barney Zwartz on Radio National’s ‘Big Ideas’ program. In this lively discussion, they discuss silence, Christianity’s intolerant nature, Apophatic theology, Nicodemites old and new, child abuse in the church, and Anglicanism … and some other stuff too. It’s well worth a listen. Applications are invited for the position of Dean of Studies and Lecturer at the Knox Centre for Ministry of Leadership in Dunedin, New Zealand. The Knox Centre forms and trains theology graduates for ministry and leadership in the Presbyterian Church of Aotearoa New Zealand. This includes running a two-year internship programme for people training for the Ministry of Word and Sacrament. As Dean of Studies, you will handle course enquiries and manage the ordination programme’s curriculum. As Lecturer, you will teach at least one paper in the ordination studies programme, preferably in the areas of Theological Reflection and/or Presbyterian-Reformed Studies. As well as having the requisite skills in administration and education, you will be familiar with the Presbyterian-Reformed tradition, you will have a proven background in Christian ministry and leadership, and you will have either a D.Min or a PhD in Theology. A full Job Description for this position can be obtained from the Registrar. Applications can be submitted to the Principal. The position is available from 1 January 2015. The closing date for applications is 16 May 2014. I recently did some teaching on early Presbyterianism, and was committed – as I increasingly am – to approaching the subject ‘from below’. In my preparation, I draw heavily upon a number of very helpful studies. I want to draw attention to three of those. 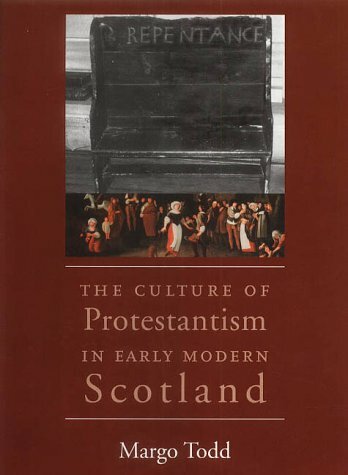 First, Margo Todd’s The Culture of Protestantism in Early Modern Scotland. There is no question to my mind that Todd’s is an exceptional study, unmatched in its scope and accessibility, and enormously helpful for gaining a sense of the bigger picture, and that with just the right level of detail so that you feel that you’re not being fed propaganda and/or sloppy work. The macro level vista is both the study’s strength and its greatest vulnerability, for while its overview nature superbly introduces us to themes and challenges associated with the subject, the book does not particularly assist readers to appreciate some of the geographically-specific features at play. In other words, it’s a bit like having a fantastic cookbook on Indian food but which makes little distinction between the Punjabi and Udupi palettes. With Todd in hand, however, two additional studies assisted me to arrive at the subject with greater detail and a more pronounced awareness of the nuances at work. First, there is the remarkably entertaining Stirling Presbytery Records, 1581–1587 edited by, and with an stunning introduction from, the first-class historian James Kirk. 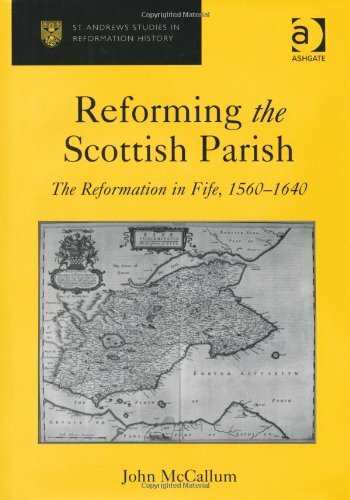 Second, is John McCallum’s revised doctoral dissertation published as Reforming the Scottish Parish: The Reformation in Fife, 1560–1640 (in Ashgate’s St Andrews Studies in Reformation History series). Well researched (he draws mainly on largely-neglected kirk session minutes) and accessible writing presented with helpful charts is always going to be a winner when I’m preparing lectures. McCallum does what Todd doesn’t; namely, place the spotlight onto one region, a region (Fife) which is in many ways, as he argues, a reasonable snapshot – because of the diversity of Fife’s presbyteries and parishes – of the reforms and obstacles to reform that were taking place across the country. And McCallum’s focus on the themes of availability and training of ministers, of discipline (and the role of those ‘genuinely parochial institutions’ known as the kirk session) and of worship helped to bring those infant years of Presbyterianism alive for me, and helped – together with Todd’s and Kirk’s work – to fill in some important gaps in what has been a largely ignored period of the church’s life. I can only hope that additional studies exploring other areas of early Presbyterian life might be undertaken. 1. Anyone who thinks you can cherry-pick the sixteenth century Reformations for solutions for today’s church and society is an idiot. 2. Anyone who thinks you can ignore the Reformations has their head in the sand. 3. Music, art, and literature were transformed by the Reformations. 4. The Reformations also triggered the Peasants’ War: the greatest social upheaval in Europe before the French Revolution. 5. Genuine Reformations always spell trouble. 6. Reformations begin and end with our understanding of God. 8. From Luther to Teresa of Avila, faith begins with doubt, ecstasy begins with despair. 9. Reformations begin and end with our understanding of Christ. 11. Reformations begin and end with our understanding of Holy Spirit. 13. In today’s churches heart and mind are out of kilter. 14. In our music and our liturgy we say we yearn for transformation. 15. In our thinking, however, we have given up on the future. 16. We Presbyterians feel we have lost our Church, nationally. 17. Many in the churches feel we have lost the way, politically. 18. There were many Reformations: humanist, Catholic, Lutheran, Reformed, Radical, and communal. 19. None of them gave up on the future. 20. All of them found the way to that future, however, in a recapitulation of the origins. 21. To go forward we need to go back. 23. The Church likes to domesticate, to tame the Bible. The Reformations recognized it as dangerous memory, as liberation, as a wild animal. 24. 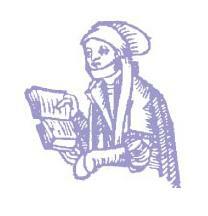 ‘Almaist in everie private house the buike of Gods law is red and understand in oure vulgaire language’. (1579; Geneva Bible). Call me theologically naïve, or ignorant, or not well enough read, but I simply do not understand some of the criticisms directed at Rowan Williams. Archbishop Williams is a person of deep faith and prayer, of contagious love for Christ, for the Scriptures and tradition which bear witness to him, and for Christ’s church, and who for decade after decade has been among the church’s finest public theologians (and poets! ), producing first-rate scholarship with exemplary integrity and gospel-spirited passion, and helping a new generation of Christians to find the words and posture to understand and bear witness to the deepest realties of their faith in a rapidly changing cultural landscape. Moreover, his literary and spoken output alone – books, radio interviews, lectures (his 2011 Holy Week Lectures on Lewis’ Narnia are outstanding), reviews, articles, etc. – not to mention his gracious and steady leadership of the Anglican communion, leads me often to wonder if there are not two equally-brilliant and identical twins that Mr & Mrs Williams named ‘Rowan’ sometime last century. Put differently, I keep an eye open to read and digest everything he writes. And why not, when it is so edifying and educative, and models a way of doing theology so worthy of emulation, if not entirely uncritically so. But there’s one lecture that I’ve missed, until now – his CEFACS lecture, given some years ago at the Centre for Anglican Communion Studies in Birmingham. So thanks Jim for pointing me to it, not least because the lecture attends to a subject in which I have some serious investment, namely theological education. In that lecture, Williams invites us to think about theological education by way of the analogy of a musical education: ‘Just as, in relation to musical education, I might be reasonably sure of being able to identify what a musically educated person is like. I would know what sort of skills to look for and listen for in that case. Now I want to suggest that a theologically educated person is somebody who has acquired the skill of reading the world, reading and interpreting the world, in the context and framework of Christian belief and Christian worship … That means that a theologically educated person is not someone who simply knows a great deal about the Bible or history of doctrine but somebody who is able to engage in some quite risky and innovative interpretation, and who is able, if I can put it this way, to recognise holy lives. Because I think that the skill that belongs to being a theologically educated person is a very significant part – the skill of knowing what an exemplary life looks like lived in the context of doctrine and worship’. Then, drawing upon the work of Thomas Aquinas and the example of God’s revelation to Moses, Williams proceeds to argue that ‘theology is inevitably, consistently to do with human lives, not in any sense that excludes theology having to do with God – far from it: but in recognition of the fact that because God is not an object lying around for examination, God’s impact upon and the difference God makes to human lives is where we are bound to begin. The word of God, the self communication of God is always bound up with the actual and concrete transformation of human situations – corporate and individual … From the vantage point of Christian theology that should not surprise us at all. 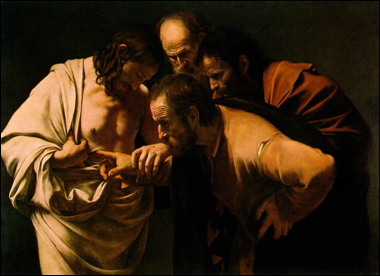 Christian theology begins from the series of events – events of transformation’. And later on: ‘Theology begins when something in the human world and human lives has struck at such depth that we need language more than just the conventional language of human agency and historical forces. Theology arises then when the world looks new. One of the saddest things that can be said about theology is that it has become stale; that it no longer speaks of transformation. Because the impulse to do theology arises when the world looks different from what you thought it was. The New Testament is riveting, exasperating, exhausting, inexhaustible because it is the work in progress of the people whose world is in “in the business” of being reformed, reshaped’. And here is the point – the challenge, if you like – for those engaged in theological education: ‘Theological education is bound … to be regularly a matter of looking at the patterns of human lives. Theology has a great deal to do with biography and with history – the Bible containing many examples of both. It is out of those narratives, out of those stories and transactions that the ideas emerge and I would venture to say that a bad theological education is one which never gets you from the ideas to the narratives; and a good theological education is one that pushes you inexorably from the narratives to the ideas’. One thinks here of James Wm. McClendon Jr’s fine book, Biography as Theology: How Life Stories Can remake Today’s Theology, or of the work of Ray Anderson whose entire project is an outworking of the conviction that ministry precedes theology. And that is why, Williams reminds us, contra Nietzsche, ‘theology is inevitably a component in the business of Christian discernment’, and good theology is concerned not to ‘set out to give you a map of another world but a set of instructions for this one’. And that is why, Williams notes, ‘theology is an uncomfortable partner in the academic enterprise … An uncomfortable partner in the enterprise because universities on the whole do not set themselves the task of educating people in the discernment of holiness. Why should they? And yet there is something in the level of critical questioning which theology ought to bring to the intellectual enterprise overall that is essential to intellectual health’. These introductory points made, Williams then turns to some of the particularities of theological education in light of the definitions he has introduced. And here he wishes to speak about bible study, doctrine and church history. Regarding the first of these, bible study, Williams is adamant that theological education ‘is designed to produce people who are really literate in the Bible’. Why? Because ‘the Bible is the primary record of the primary difference God makes. It begins, of course, by recording the greatest difference of all – the difference between things being there and things not being there and associates that with God. And in Christian scripture that primordial difference between being and non-being is latched on with an enormously ambitious theological pun at the beginning of St John’s Gospel latched on to the life of Jesus of Nazareth as the one who makes the difference between being and non-being within the world’s history. But the narrative of Hebrew scripture, what Christians call the Old Testament, evolves in a series of upheavals. The uprooting of Abraham from his native land, the release from slavery of the people of Israel, the betrayal and exile that follows the abandonment by God’s people of God’s justice, the restoration of the people around more liturgy. And within its contours we are not allowed at any point, I think, to come too quickly to a generalised version of what all this is about and who this God is. We have to watch the story in its process. We have to attend to and be involved in the drama of the narrative’. ‘Be patient, don’t assume the end of the story is come. God is a God who upturns the conventions and the ideas and the images we have and he does it centrally, focally, forever, in the life and death of Jesus. We watch them again as Christian scripture evolves, we watch people in that new landscape trying to find the words for it. To say that is not in the least to say that the Bible does not tell us the truth. The way the bible tells us the truth is by showing us how God’s reality, in its freedom and majesty, impresses itself upon human life. We read the impress, we read the impact, we begin to understand who it is that we are dealing with and that is as true of the New Testament as of the Old. Frequently as I read Paul’s epistles I read the impatient, inarticulacy of someone whose vision is bigger than his language and that is what makes Paul so intensely worth reading, so inspired, so much a vehicle of God’s spirit. Watching him struggle, sometimes very impatiently, with ideas that are getting away from him is precisely to be drawn into what Paul sees and what Paul knows – to meet Paul’s God. There is an extraordinary moment when Paul realises that he has dug himself in far more deeply than he originally intended to in an argument and suddenly breaks away saying “I don’t know where this is going but …” as he does, of course, so memorably at the end of his most agonised excursions – Romans 9–11. How am I going to bring all these ideas together, Paul asks at the end of 11 when he has been wrestling with the fate of Israel and he can say only, “O the depth and mystery of God”. And it is not a short cut because you have watched him getting there. I had a friend years ago who complained about the way in which theologians would revert to talking about mystery when things were getting difficult and it is a good discipline I think for any theologian to save the language of mystery, if you like, until the very last moment. That is to say to follow through argument, definition, refinement of terms as bravely and consistently as you can and not to give up too soon. Only when you have demonstrated that you are at the end of that story can you afford to say with Paul that you don’t know where to go but God does. Now that means, I think, that a person who is educated in reading the Bible is a person who, you can say theologically, by the Grace of the Holy Spirit, has been brought into that relationship with the God of the Bible which allows them to recognise in the language of the Bible their own faith and their own narrative. And that is something rather different from quarrying the Bible for little bits that happily remind you of how you feel. That is not biblical theology. It may be a useful form of apologetical psychology but it is not particularly theological. But to find in that language, that narrative, that register of exploration, something of the faith that transforms your own life; that I think is to see what biblical understanding is … The Christian comes into the biblical world – a strange world, a world in which images and ideas and words are not always what you expect. But the education of the Christian in the biblical world is an education in the skills of analogy and connection … That means that being a biblically educated person is a great deal more than knowing the texts’. Williams turns next to the matter of Christian doctrine, rejecting the kind of doctrine-as-finished-product approach so often associated with theological education, and proposing instead a notion of doctrine as ‘the process of finding the words for a new landscape which like any such process is going to be in many ways vulnerable and rather bumpy’. ‘We can’t tell all the truth’, he says, ‘we can tell the truth consistently, we hope intelligently and then once again … come to the point when we say that is as far as we can go but we have done the work’. A ‘doctrinally educated person therefore is … somebody who can see what sort of human anxieties, aspirations, tensions, prayer, love, sin and grace led people to think it mattered to talk about Jesus in this way, to talk about God in this way, to talk about the Sacraments of the Church in this way. It was not a word game. It wasn’t a way of passing the long winter evenings’. Williams cites Barth and Bonhoeffer as examples of what it looks like to do theology in this way, i.e., in a way that takes the contemporary location seriously, in a way that seeks to profess Christ in a new and different space. ‘When it has been done people don’t always quite see why it is done, whether there is a theological reason for doing it. It becomes another bundle of anecdotes. Facts about the past which may or may not be interesting, probably not very. Stories about people far away, speaking foreign languages with strange names with very bizarre ideas. Now I don’t think that will do as an approach to Church History because one of the things that comes out of being a biblically educated and doctrinally educated person is some sense of what it means to belong to the body of Christ. That is to be part of a community which has no spatial or temporal boundaries but in which every participant has something to give and something to receive … Those odd people in the text books are actually our brothers and sisters in Christ, and frequently you would much prefer that they weren’t. Almost as much as you would prefer that some of your contemporaries weren’t! But these are people in whom Christ is given to you’. He argues that the difficulty with teaching church history is that the subject frequently falls apart into two equally unhelpful poles: ‘There is the kind of Church History which looks at the past as answering the questions. That is the story, that is how we got here and it all ends happily because it ended with us. And there is the kind of Church History which says we have to be deeply conscious of the absolute cultural gulf that separates us from everybody before 1550 or 1700 or 1981 or whatever. Both of those are unhelpful simply as historical method but they are totally insupportable as theological method’. And so part of the challenge, he goes on to say, ‘is being able to cope both with the continuity and with the gulf. These are people deciding to be disciples of the same Lord that I try to follow. These are people speaking of that discipleship in categories that are so strange that it will take me a lot of patience to learn what they say and listen to it effectively. Yet both those elements are true and essential in the process’. Not only is the position that nothing important happened between the NT and now (or between the first and the fifteenth centuries) ‘intellectually shabby and indefensible’ but such a view is also ‘spiritually impoverished’, for whether we like it or not, God has graced us with ‘a very, very large number of companions on the journey. Each one of whom will have something distinctive to say however well I hear it, however easily I digest it’. And here Williams returns to the question of reading the Bible, noting that ‘an educated reader of the Bible is also somebody who knows how to read the Bible in company – in company with other Christians now, in company with Christians through the ages’, in the company of the Christian community ‘and to find education and discipleship in that process’. Finally, Williams makes the point that as alarming, pre-modern and unattractive as it sounds, one indispensable, if not largely forgotten, theological virtue is obedience. Naming Barth as ‘the greatest theologian of obedience in the 20th century’, Williams defines obedience in theology as ‘that absolutely faithful attention to the otherness of what you are dealing with, that springs you from the trap of your own preoccupations and preferences. Somewhere in all of this business of theological education we have to come to terms with that sense of an otherness, an elsewhere – not another place, another realm, another world but that which is not simply on the map of our concerns, our security, our ideas. An obedient theology is one which seeks to be formed by what is there and a holy life is one which lets itself be impacted, be impressed by the will of God. For Karl Barth, that meant of course, that an obedient theologian was someone who was free to be the most dramatic possible nuisance in church and world. Obedience to the otherness of God, such a person would be obedient to no other constraints and no tyranny that could be concocted on the face of the earth’. ‘What obedience means for us’, he continues, ‘is a far tougher, far more complex matter to work out. And yet’, he says, ‘a theology that does not somehow tackle that issue of obedience somewhere along the line as part of the education we are talking about, will fail to be theology. And that is an obedience, of course, which challenges great deal of what we often mean by the term’. Williams then provides some examples of what he is talking about, examples which underscore his claim that obedience is far from what we often associate with terms like passivity or docility: ‘Whatever obedience means there, it does not mean docility. Obedience can mean again Paul throwing down his pen with exasperation and say “I don’t know what more to say; it is too big for me to speak of” – that’s obedience. It’s St Thomas Aquinas saying at the end of his life saying, ‘all I’ve written seems like so much straw compared with what has been shown to me’. It is Luther throwing his inkpot at the devil. It is Barth wonderfully, at the end of a deeply boring and conventional parish mission, designed to make everybody feel a great deal worse, decided as he tells us to preach a sermon on little angels with harps and sheets of music. Because he felt he had been listening for a week to a mission all about how ‘I’ ought to feel and not about how God was, therefore he wanted to turn the whole thing back to praise, and that’s obedience’. Linking this back to the subject of theological education, Williams concludes by noting that obedience properly belongs in the very DNA of any theological education worthy of its subject, for such education is about ‘passionate intention to what is there, to the extent that I am changed by that attention, and set free by it from other pressures to conformity’. And he then offers some specific words to his own Anglican Communion, words which I venture to say are pertinent to the entire body of Christ: ‘We have a very long way to go in making our Anglican church a coherent, communal, obedient, renewed family of congregations. And yet we share the reality given in Christ by our baptism, the reality of Christ’s body. The theological education we need, I believe, in the Communion is something which will make that come alive for us, which will make us literate in reading scripture and doctrine and church history, which will deepen in us those skills of discernment that we need in respect of our own calling and the calling of others, which will set us free from being simply an ecclesiastical organisation preoccupied with policing itself in various ways which will perhaps make us a more effective servant of the world into which God calls us. The world in which God invites us to recognise him, respond to him, praise, be glad in him, a world which is on the way to becoming that new creation which is really the context, the locus of any theology worth the name’. Alan P.F. 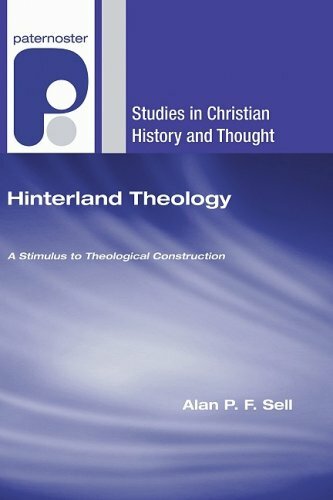 Sell, Hinterland Theology: A Stimulus to Theological Construction (Studies in Christian History and Thought; Milton Keynes/Colorado Springs/Secunderabad: Paternoster, 2008). xvi+715pp. In his book Defending and Declaring the Faith: Some Scottish Examples 1860–1920 (1987), Alan Sell had already demonstrated his ardour and gift for bringing the dead back to life, for turning strangers into friends, and for wading the small streams and largely-inaccessible rivers on the landscape of British ecclesiastical life. Now, over two decades later, Professor Sell, in Hinterland Theology: A Stimulus to Theological Construction, turns his binoculars south to introduce readers to some other forgotten saints, to those whose writings are not the staple of general undergraduate courses. These are the second eleven (actually ten), if you like, of Nonconformist Dissent – drawn from among those who served the Church in the wake of the Toleration Act of 1689 after which there was ‘no longer one authority to which appeals on religious questions could be lodged’ (p. 54), and in the wake of the Enlightenment and the Evangelical Revival, and in the wakes of modern biblical criticism and theological liberalism. From the outset, Sell suggests that ‘we have not fully understood the Lockes and Barths of this world until we have investigated what the hinterland people made of them’ (p. 2). Drawing upon letters, sermons, tracts and monographs, and with an eye on doctrinal controversies, the prevailing intellectual winds, and impressively alert to pastoral challenges, Sell has penned an encyclopaedic dictionary of rarely-mentioned theologians – Thomas Ridgley, Abraham Taylor (who ‘shot across the London sky like a volatile theological meteor’ (p. 41)), Samuel Chandler, George Payne, Richard Alliott, David Worthington Simon, T. Vincent Tymms, Walter Frederick Adeney, Robert S. Franks and Charles S. Duthie. Apart from Chandler, who was Presbyterian, and Tymms, who was Baptist, the rest were Congregationalists, and all but two (or perhaps three) were sons of the manse. Each chapter begins with a comprehensive biography of the chosen personality before turning to introduce and then engage with their thought, contribution and intellectual location. A familiar encore of themes appear over the period surveyed (1667 to 1981), including deism, miracles, apologetics, supernaturalism, Bible, Trinity, theism, Arianism, Calvinism, Unitarianism, Roman Catholicism, theological method, the eternal generation of the Son, kenotic christology, divine impassibility, natural theology, ecclesiology and pastoral ministry, among others, suggesting that theological adjustments and time-lags, and the ongoing ‘construction through conversations’ (p. 1) conducted by hinterland theologians, significantly stimulated the philosophico-theological landscape, and bore significant fruit – for good and for ill – in the Church. After a brief Introduction, the book is presented in five parts. In Part One, ‘In the Wake of Toleration’, and with colour and wit, Sell introduces us to Thomas Ridgley whose ‘greatest contribution lay in the field of theological education’ (p. 13), and to Abraham Taylor and his defence against John Gill’s charge of antinomianism, and his plunge into the debates over the doctrinal declension betrayed in eighteenth-century trinitarian controversies and, in particular, his dissatisfaction in these matters with fellow Congregationalist, Isaac Watts. (Taylor charged Watts with sponsoring Sabellianism and Socinianism, with teaching that Christ possessed a super-angelic spirit, and with displaying a lack of clarity over the nature of divine personhood, among other things). Sell also introduces us to Samuel Chandler, the ‘moderate Calvinist’ and ‘apostle of liberty of conscience and freedom of thought’ (p. 85) who also wrestled with John Gill (on the relationship between morality and the will of God) and with Anthony Collins, John Locke and Thomas Morgan (on deism), and with John Guyse (on what it means to preach Christ),who spoke at Watts’ internment, who (from 1732 to 1739) was a prime advocate of the repeal of the Test and Corporation Acts that precluded Dissenters from holding state or civic office’ (p. 77) and whose greatest talents most conspicuously shone forth from the pulpit. In Part Two, ‘In the Wake of Enlightenment and Revival’, Sell considers the life and contribution of George Payne, a thinker who ‘set out to be “useful” but was perceived as “dangerous”’ (p. 123). Sell’s discussion here introduces us to the landscape of early-nineteenth century thinking on metaphysics and ethics, on moderate Calvinism, and on the Trinity. Sell turns next to the inexorable logician and winsome evangelist Richard Alliott, who was ‘among the first Congregationalists to notice Schleiermacher in print’ (p. 191) and who, while longing for the revival of the Church, insisted that there would be no revival until believers ‘experience within stronger faith in the presence and word of our God, in the finished work of Christ, [and] in the indwelling of the Spirit in our hearts’ (p. 200). But Alliot, who by 1860 held the Chair of Theology and Philosophy at Spring Hill College, held no misconceptions that ‘piety by itself will not sustain a ministry’ and that ‘scholarship will render a preacher more effective’ (p. 203). Sell describes Alliot, who authored Psychology and Theology (1855), as ‘a theologian between the times’ in whom ‘classical theism’s cosmological-causal head came together with Romanticism’s heart, and the whole was undergirded by the Evangelical Revival’s concern for souls’ (p. 222). Part Three is titled ‘In the Wake of Modern Biblical Criticism’. Here we are acquainted with David Worthington Simon, T. Vincent Tymms, and Walter Frederick Adeney. Describing Simon as ‘the most spiritually anguished, the slowest-burning, and the most pioneering scholar – and hence the most highly suspect – to fall with the confines of this book’ (p. 227), Sell recalls Simon’s study at Lancashire College and in Germany (a land to which he returned again), his oversight of the newly formed church at Birkenhead from 1855, and his call to serve as Resident Tutor and Professor of Theology at Spring Hill College, ‘an institution where at least relatively open theological enquiry was the order of the day’ (p. 236), and then, from 1883, as Principal of the Scottish Congregational Theological Hall in Edinburgh, and thereafter as Principal of Yorkshire United Independent College on Bradford (1893 until 1907). Alive to the changing intellectual environment, Simon, championing what Sell names as a ‘biblical-historical-pneumatic epistemology’ (p. 250), championed a marriage of both intellectual and spiritual depth, resisting attempts by some to divorce the historical and the spiritual and arguing that the soul’s relation to God is not independent of biblical facts. From Simon, Sell turns to Tymms, tracing the Baptist theologian’s journey from Regent’s Park College, to his pastorates at Berwick, Accrington and Clapton, to Vice-President of the Baptist Union of Great Britain and Ireland, to President of the London Baptist Association, and to the Presidency of Rawdon College, Leeds. Sell reflects on Tymms’ widely-read book, The Mystery of God, and his embroilment in controversies over Bible translation, particularly as such affected the Indian mission field. He notes that Tymms distinguished himself by encouraging ‘original thought among his students rather than … prepar[ing] them for examinations’ (p. 311), and by his Forsyth-like witness to the centrality of Christ’s Cross which has ‘irradiated the world with light, and is filling the moral universe with songs of everlasting joy’ (p. 317). Tymms would press further still, insisting in his stimulating and judicious book The Christian Idea of Atonement, that ‘the cross is God’s definition of Himself’ (p. 340). Moreover, the cross is, Tymms insists, the only word of theodicy available to the Christian: ‘The cross is … precious because it reveals that God is not a mere passionless watcher of an agonising evolution, but is Himself a partaker of the universal travail, and has been constrained by love to take the chief labour on Himself’ (p. 345). Sell introduces us next to Adeney, Congregationalist minister turned Professor of Church History and New Testament, whose attention to the centrality of the cross fell some way short of Tymms’, but among whose enviable gifts included an ability to ‘write at varying degrees of technicality, and … a particular concern to reach ministers, people in the pews, and children’ (p. 366). He was one of those ‘believing biblical critics’, like Westcott, Hort, Peake and W.H. Bennett, who ‘harvested the fruits of modern biblical criticism in such a way that only the most suspicious conservative evangelicals’ (p. 410) would think to accuse him of undermining Scripture. No advocate of sentimental theology, Adeney championed the truth of God’s fatherly love – love expressed in the ‘essentially Christian’ (p. 399) doctrine of the Trinity – as ‘the source and spring of the Christian gospel’ (p. 395). Still, he warned that ‘speculation about God always plunges us into darkness’, an observation which draws the following comment from Sell: ‘It is, no doubt, an unsanctified thought, but one sometimes feels that some present-day theologians think that they know as much about the inner working of the Trinity as some older Calvinist divines thought they knew about God’s inscrutable will’ (p. 411). ‘In the Wake of Theological Liberalism’ is the equally-revealing title of Part Four, and the subjects here are Robert S. Franks and Charles S. Duthie. Again, Sell locates each personality in their biographical and intellectual context before turning to introduce and appraise their writings and thoughts. Sell highlights the former’s engagement with the thought of Kant, Abelard, Anselm, and Schleiermacher, and the latter’s engagement with Pascal, Barth, Thielicke, Ferré and Tillich. Of these last two named, Duthie’s introducing of their thought to both Church and students (he spent 30 years of his life training ministers) was ‘not because [he agreed] with all the main positions they occupy but because [he felt] deeply that they are concerned to fashion a living theology for our own time, a theology which is faithful to the “given” Gospel in terms of man’s predicament today’ (p. 521). In calling the Church to its evangelistic task, Duthie suggested that we not only read Tillich with Barth in hand, but also the reverse. After 562 pages, Sell still has more to say, and the book’s final part is a 71-page conclusion wherein Sell retraces the landscape he has just surveyed, recapitulates key themes, offers suggestions about contemporary practice, and recalls that the voices of hinterland theologians – past and present – are ‘frequently constructive, occasionally provocative, and variously stimulating. They have pertinent observations to share on our current theological agenda, and they challenge us by reminding us of some themes which we may have been inclined to overlook’ (p. 635). Readers already familiar with Professor Sell’s writing will know that he is a meticulous researcher whose reading is extensive, whose commitment to ecumenism is exemplary, whose love for, and devotion to, the Nonconformist tradition is contagious, who is not shy of noting error and distortion of the Gospel when and where he sees it, whose acumen for critically-identifying contemporary theological trends is cultivated and well coached, and whose writing betrays not a few hours of pastorally-informed reflection. While Hinterland Theology could certainly have done with a more meticulous proof-reader, with this hefty tome Sell has given us a rich resource. That he decided to take the trouble to write this book leaves the Church in his debt. This volume will be of interest to historians, theologians, philosophers, and a must-read for those with a particular interest in British Nonconformity. While browsing through David L. Edwards’ 664-page Christianity: The First Two Thousand Years (1997), I noticed that it was not until page 599 that New Zealand even rated a mention (which is fair enough), and even then very little ink (113 words) was spilt (which is, I guess, understandable in such a volume). But the bromidic summary is unforgiveable, and it’s hard to believe that this was written – and published – in the 1990s! Now I consider myself a very generous and fair reader, but with this kind of drivel it’s hard to understand why Edwards bothered mentioning New Zealand at all. As an ex-student of St Mary’s College, I was very interested to read this, and was led to wonder just how easy those undergrads – who manage to get a theology degree without having to read any Augustine or even having to master Chaldaic – have it these days. C’mon Steve, lift your teams’ game! 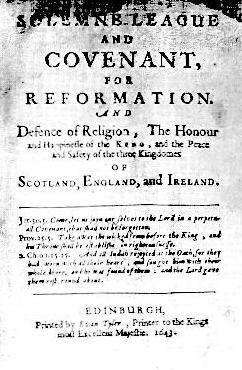 ‘This article assesses the significance of Presbyterian ideas of church government in Scottish politics after the revolution of 1688 intrinsic right of the church: its claim to independent authority in spiritual matters and ecclesiastical administration. The religious settlement of 1690 gave control of the kirk to clergy who endorsed divine right Presbyterianism, believed in the binding force of the National Covenant (1638) and the Solemn League and Covenant (1643), and sought to uphold the intrinsic right. 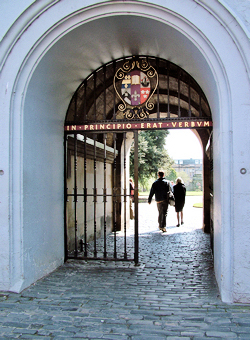 An ambiguous legal situation, the criticisms of episcopalian clergy and politicians, and the crown’s religious policies helped to make the Presbyterians’ ecclesiological claims a source of instability in Scottish politics. Meetings of the general assembly and, after 1707, the appointment of national fast and thanksgiving days were particularly likely to spark controversy. More broadly, the article questions two narratives of secularization assumed by many previous scholars. It argues that Scottish politics was not differentiated from religious controversy in this period, and that historians have exaggerated the pace of liberalization in Scottish Presbyterian thought’. 2. The other breaking story is that N.T. Wright has been appointed to a Chair in New Testament and Early Christianity at St Andrews. From the reading chair: Celtic Christianity: Making Myths and Chasing Dreams by Ian Bradley; The Quest For Celtic Christianity by Donald E. Meek; Banner in the West: A Spiritual History of Lewis and Harris by John Macleod; Why Study The Past? : The Quest For The Historical Church by Rowan Williams; Loving God With Our Minds: The Pastor As Theologian edited by Michael Welker and Cynthia A. Jarvis; Why Your World Is About to Get a Whole Lot Smaller: Oil and the End of Globalization by Jeff Rubin; Liberating Reformed Theology, Christianity and Democracy: A Theology for a Just World Order and Theology & Ministry in Context & Crisis: A South African Perspective by John W. de Gruchy; Witness to the World: The Christian Mission in Theological Perspective by David J. Bosch; Black and Reformed: Apartheid, Liberation, and the Calvinist Tradition by Allan A. Boesak; Praying with Paul by Thomas A. Smail. Through the iPod: Kind of Blue (50th Anniversary) by Miles Davis; Looking for Butter Boy by Archie Roach; Daughtry and Leave This Town by Daughtry; Draw the Line by David Gray (this is easily in my top 10 for 2009); X&Y by Coldplay; Christmas In the Heart by Bob Dylan (Judy says that it won’t be being played in ‘our’ house this Christmas, so does anyone want me over for lunch). By the bottle: Mt Difficulty Long Gully Pinot Noir 2007; Carrick Josephine Riesling 2007. Looking for something a little longer? 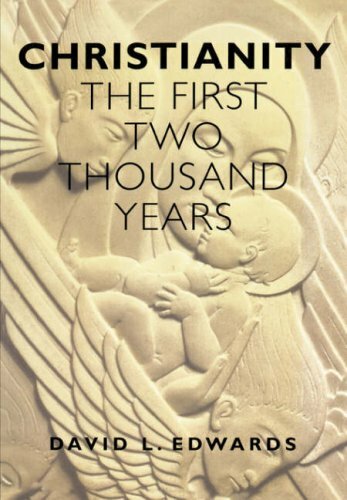 Then check out the brilliant new study, Christianity: The First Three Thousand Years, by Diarmaid MacCulloch. It’s set to become the text in its field, and at 1184 pages (!) it will be keeping me busy for some weeks/months. BTW: Don’t forget to enter the Who said it? competition.